Looking for a place to throw a party? Teach a Class? Have a meeting? Rehearse theater or music? Get together with moms and babies? Spread your yoga mat and find a few moments of serenity? Celebrate the most important day of your life? 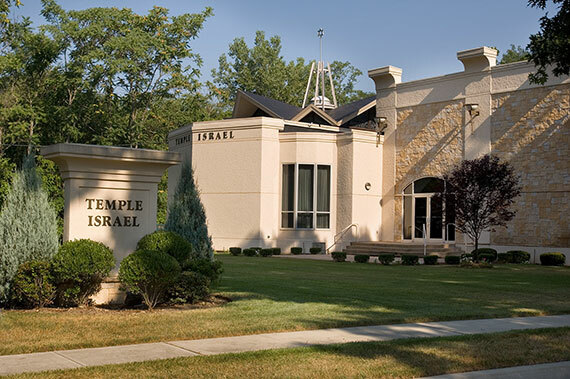 Temple Israel, a Ridgewood landmark since 1961, beautifully renovated and updated in 2001, can accommodate your regular program or special event. 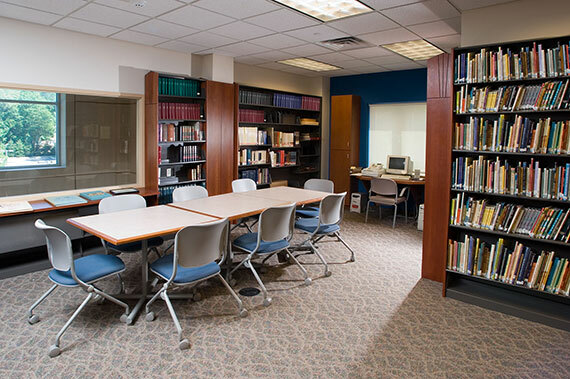 Easily accessible from Grove Street, many organizations currently use our 45,000 square foot facility – and there is room for your group as well. We have 8 classrooms that can each accommodate 25 students comfortably, two of which can be opened up into one large carpeted lecture or class space. 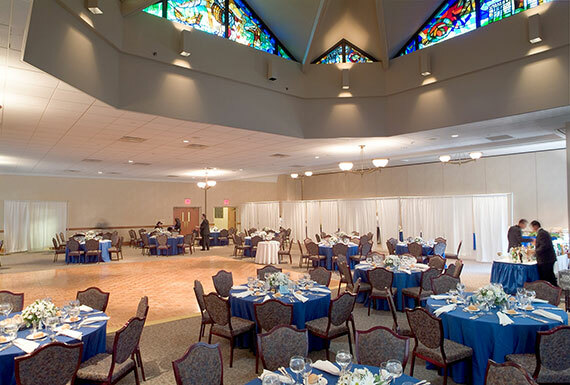 The social hall, 3,311 square feet, is ideal for choral groups, lectures, meetings, rehearsals and other events. The high ceiling produces excellent acoustics, and there is a 400 square foot wooden dance floor surrounded by carpeted areas. Our Kiddush room, ideal for Mommy and Me activities, yoga or Pilates, is 1,260 square feet and is carpeted. If necessary, a divider can be opened for a 4,571 square foot room that can accommodate 250 people with 60-inch round tables or several hundred in theater style seating. 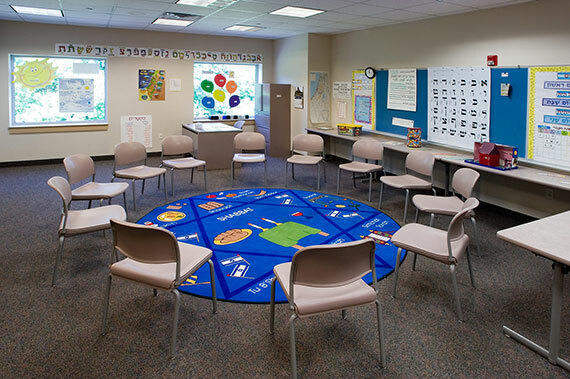 Our full time custodial staff can arrange any room to meet your specific requirements. 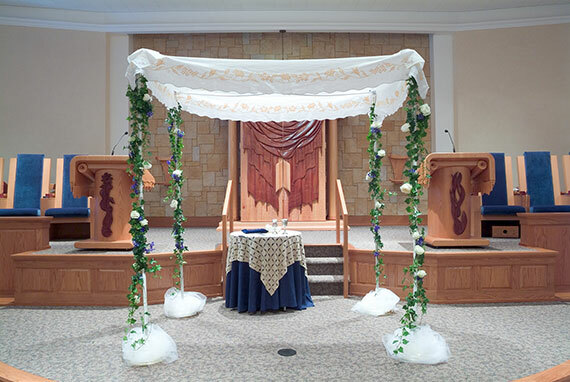 We can accommodate your simcha (e.g. Brit Milah, baby naming, B’nai Mitzvah, wedding, sweet sixteen, anniversary, graduation.) Our office manager will be happy to discuss your special celebration with you to create a most memorable event. We can also assist you with your catering requirements. Our parking lot is large and well lit, and we are ADA compliant. Our office hours are 9:00 AM – 4:00 PM Monday – Thursday and Friday 9:00 AM – 2:00 PM. Call 201-444-9320 and ask for Maureen. She will be glad to answer your questions and arrange a personal visit. 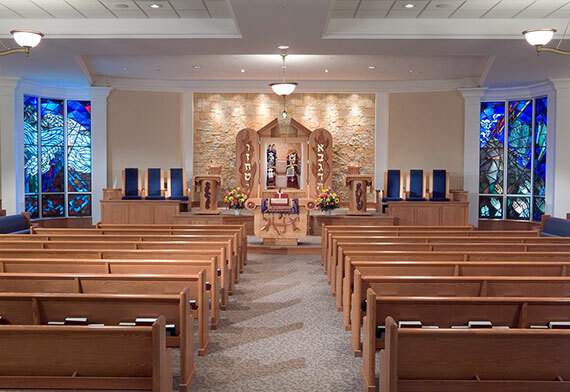 Please call the synagogue office for the current list: (201) 444-9320.